UK developer and publisher Rebellion may be known to gamers mostly for the Sniper Elite series, but they also own the IP rights to 2000AD comics. 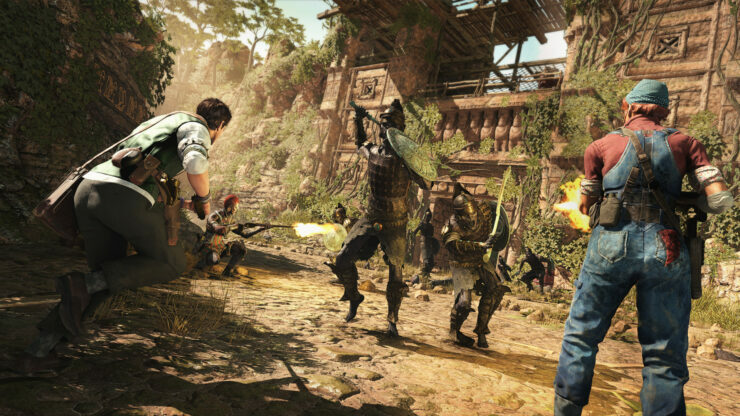 Long story short, they could be churning sequels after sequels with all the intellectual properties they have available, but they’re actually crafting a new IP with the upcoming Strange Brigade. As part of an interview published in the latest Official Xbox Magazine UK (April 2018, issue 162), Senior Designer Tom Rigby and Lead Designer Steve Bristow explained why that’s a good thing compared to the industry’s tendency to ‘play it safe’. Yeah, we’re inventing a whole fictional group that shouldn’t have existed, basically. Certainly I’d like to draw attention to the fact that it’s a brand new IP and I’m proud of that. I think it’s a real risk for Rebellion to take and if it pays off, brilliant. If not, at least we tried. I think that’s what this company’s good at, we’ve got just enough freedom to try these things and you don’t see that very often. You don’t see people trying new IPs – it’s very safe these days. It is very tempting. Rebellion has its big successes, and of course it’s not oblivious to that, but to have a margin for people to experiment with stuff – I mean, Battlezone was another example of that, a game which just… it didn’t come from nowhere in a business sense, but it was certainly an enormous risk. Rebellion’s got enough things that if we wanted we could probably make sequels for the next ten years, but we’re not doing that, and I think that’s good. The Kingsleys [Rebellion’s founders] do really, genuinely think about the kind of things they think gamers are going to want to play, but at the same time they don’t do that by looking at what people are currently playing. They refer back to themselves and the kinds of things that they enjoy playing, as they are actual gamers, and that’s really freeing. It’s really nice to know that for everybody here, there’s the potential to work on something completely new and to try and break a little bit of ground. 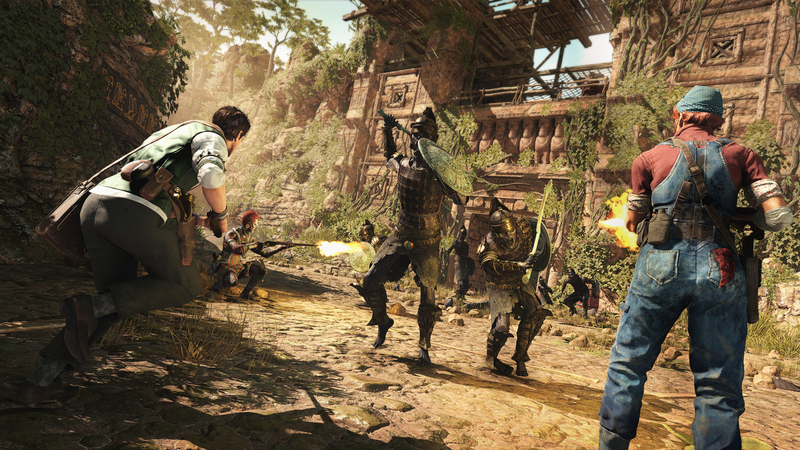 Rebellion will be demonstrating Strange Brigade next week at GDC 2018.